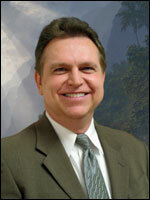 Dr. Stockdale grew up in Southern California, graduating from the Loma Linda University School of Dentistry. He has taken extensive continuing education in orthodontics, restorative, and cosmetic dentistry. In addition, in 2006 he completed a mini-residency at USC for the placement and restoration of dental implants. When he is not working, Dr. Stockdale enjoys skiing, travelling, and water sports of all kinds.